Social media scheduling service Buffer has big news today: it’s acquiring Respondly, a tool made for turning social media into your front-line support center. We covered Respondly when it launched in 2014, which is now used by a number of larger companies like Slack to deal with the influx of questions, problems and bugs they receive every day. At its core, Respondly turns Twitter into a way to deal with that on a team scale. You can have more than one person handling incoming Twitter questions at once, and track your company’s replies, as well as private notes, in each thread. An example of when this is most powerful was demonstrated recently when Slack went down. It used Respondly to reply more than 2,300 times to customers complaining — more than 10 responses per minute. 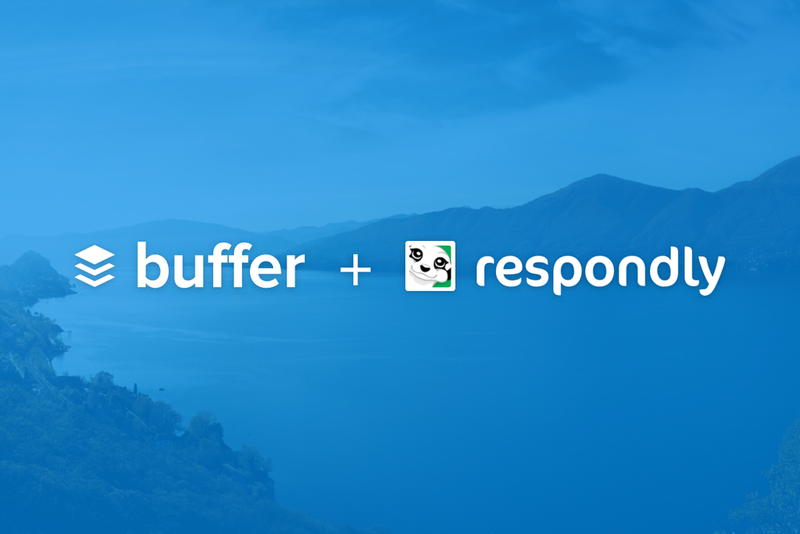 Buffer acquired Respondly’s product today, which puts the at something of a turning point. Traditionally, Buffer has been the place you go to schedule your social media, but now it’s positioning itself as the place to manage social media. As part of the acquisition, Respondly’s team is being disbanded and only the product itself has been acquired for an undisclosed sum. Buffer is rebranding the tool to ‘Respond’ to fit in with its product suite, as well as launching a significant product update in January. According to Leo Widrich, Buffer’s co-founder and COO, the company always wanted to move into customer service but wasn’t sure how to approach it. It wasn’t planning to build it for a while, but Haines came to the team with the opportunity to buy Respondly in November. To evaluate whether Buffer was ready to move in that direction, Widrich and the team created a spreadsheet to evaluate what it would cost to buy, versus what it would cost to build it. What it found was that to build the tool internally, it would take Buffer until 2018 to get to $100K monthly run rate, but with Respondly it could hit that target by the end of 2016. Widrich told us that it acquired Respondly because “customers often make buying decisions by buying the whole solution”and that it’s now available to offer that for the first time. Buffer intends to keep its core scheduling tool separate from Respondly and work on the two products independently. On the roadmap is the rebrand, better search, improved workflows, social media signatures and potential Facebook integration. The company is also planning to launch a new pricing scheme in the near term. For the ‘starter’ plan, which is intended for smaller teams, it’ll cost $35 per month per user and for the larger plan with additional features, it’ll be $75 per month per user. It’ll also introduce a free forever plan for smaller teams — think a restaurant — who need Respondly-type features but wouldn’t pay for the use of the tool. That’s quite a change from Respondly’s initial pricing which was tiered at $29 per month for two members and $149 per month for six, but Widrich says existing pricing will apply to current customers for now and will work with them if their requirements change. What’s most interesting about the deal is that Buffer is poised to disrupt companies like Zendesk, who built email-first support services with social media tacked on. If you’re interested in trying Respond when it launches in January, you can sign up for an invitation here.